I’m stoked to announce that Patagonia and Carabiner Coffee are officially teaming up! What does that mean you ask? It means Ol Blue and I will be joining the Patagonia Worn Wear campaign on the road this year! 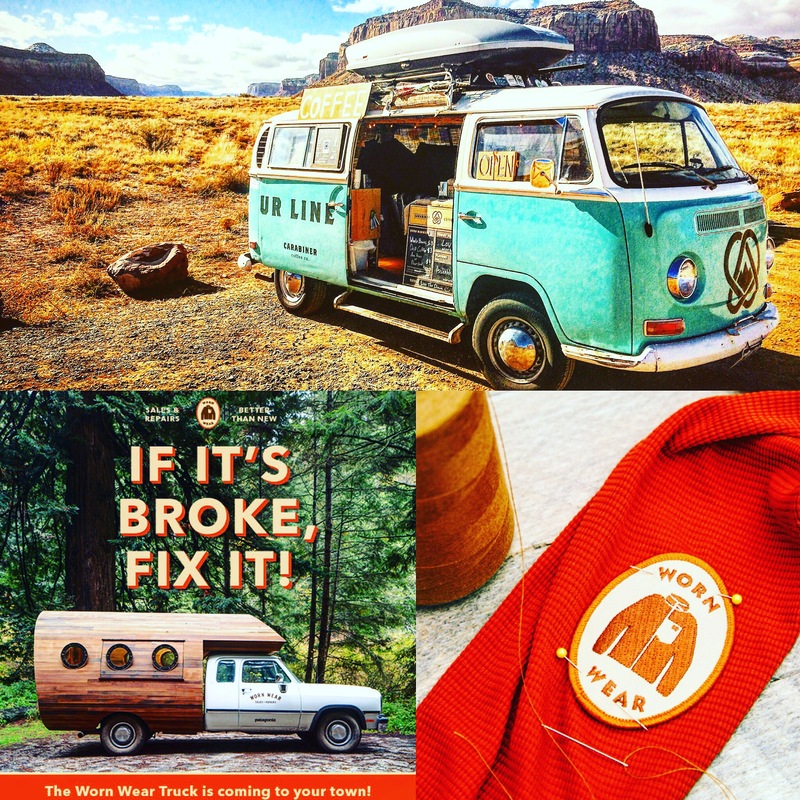 Get ready to bring your Patagonia garments that are in need of repair and we will fix them on the spot while you enjoy a glorious brew of Carabiner Coffee! Check out the list of Worn Wear events that Carabiner Coffee will be brewing at as well as the list of potential independent stops along the way! Here is a link to the worn wear campaign’s full schedule and details. I can’t say enough good things about working with the Patagonia team over the past few months getting ready for this grand adventure. 2 months full of great coffee, great surf, amazing people, climbing, community and some fresh tracks in the backcountry to boot. I am so excited to meet so many of you on the road and share stories, dreams and some delicious coffee. Here is a tentative look at what the Worn Wear + Carabiner Coffee tour will be. If you have a request for Ol Blue and I to stop at a specific location along the way, feel free to send me a message with your requests! This is also a great time to announce that all of Carabiner Coffee’s brewing is now done with %100 SOLAR POWER!!! Thanks to our new partnership with Goal Zero, and the help of the Yeti 1250 + Boulder 90 panel we’re now brewing with the power of the sun! A lot of great things are to come in 2016 as well as the opening of Carabiner Coffee’s new head quarters in Boulder, CO scheduled to open mid to late summer. Stay in the loop by following @carabinercoffee on Instagram and Twitter and sign up for our weekly or monthly coffee subscription so you never run out of coffee again! We’ll see ya out on the road everybody! Live your Dream & Love the Journey.